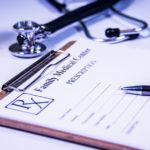 Connecticut-based medical professional liability insurer CMIC said it will raise premiums by an average 5.3 percent for Massachusetts health care professionals. The rate change goes into effect October 1. The increase follows an analysis for the firm by Towers Watson, which found that a rise in loss costs in the Bay State. In conjunction with the increase, CMIC will expand credits to eligible claims-made policyholders who have been insured with CMIC for three consecutive years.